Come for the fly fishing and stay for the ability to rise again in the morning and do it all over again. This newly furnished and renovated one bedroom unit affords you all the comforts of home with an attached deck and BBQ with views of the river and mountains. Walk to the Truckee river from the back deck or drive to other nearby access points. Hirschdale is just a short ten minute drive to Downtown Truckee and 20 miles to Reno. Skiing, boarding, mountain biking, tubing, or grab a paddle board and head to Boca Reservoir which is five minutes by car. If fly fishing is what you're after don’t forget to reach out to Gilligan of Gilligan’s Guide Service, owner of The Hirschdale Hideaway. Rachel and Matthew live and work in Truckee. Matthew is Gilligan of Gilligan’s Guide Service, fly fishing guide service. Guided fly fishing trips available with Matthew Koles of Gilligan's Guide Service. Great owners!! Pleasant and responsive. We loved the location, close to the river and skiing resorts. Downtown Truckee is close for shopping and eating. I'm looking forward to returning once it's possible to take a walk along the river, just a stone's throw from the apartment. I would recommend this riverview listing to anyone seeking a private place. 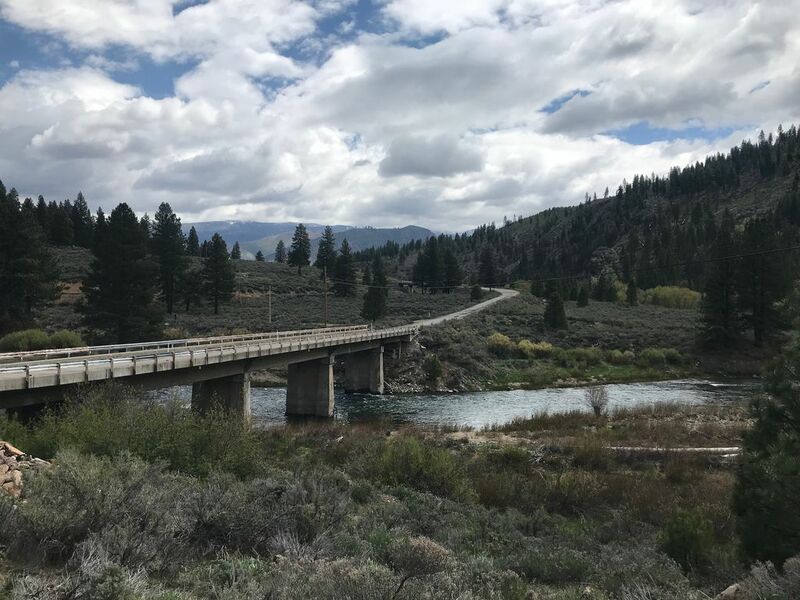 The property is in a perfect location that allows you to feel isolated while still within proximity of many nice locations such as Truckee, Boca Reservoir, and many more. I found the owners to be very responsive. Always available. Professional. They really wanted you to enjoy their little slice of paradise. Directions were spot on. Place was clean and warm. Great location. Just far enough out, yet close to town and ski resorts. No issues with parking...a few steps away from the front door. Great views of the mountains, terrain and Truckee river. This is now my go to place to stay in Truckee. Without question. Great place is a lovely location. My son and I had a great visit. The space was nice and we enjoyed walking down to the river at night to check out the moon-lit view. Wish we could have stayed longer. This was an adorable little place; cozy, clean, and tastefully decorated, and the deck overlooking the Truckee River was a perfect spot to enjoy a leisurely morning cup of coffee. Although the owners live next door, the place is separate and quite private, and Rachel (owner) was very pleasant and accommodating. I would definitely stay here again.